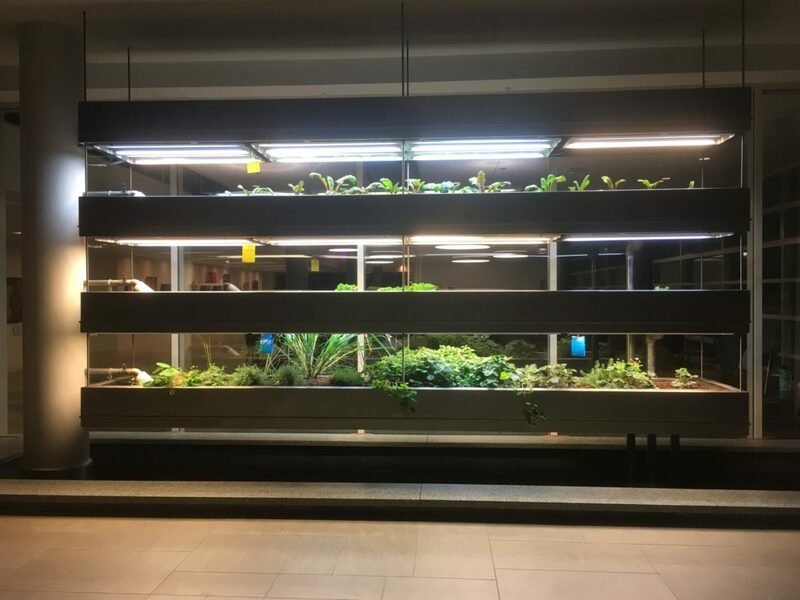 Andrew Desantis | The PHOENIX Loyola’s Institute of Environmental Sustainability breaks sources of the school’s carbon emissions into direct emissions from university infrastructure, off-campus emissions linked to the university and emissions not controlled by the university. Loyola expects to complete its Climate Action Plan by the 2025 deadline, but not all the proposed processes of reaching the goal may find fruition. The 2025 Climate Action Plan would cut the university’s total annual production of carbon dioxide emissions to zero — rendering the school “carbon neutral.” Carbon dioxide is a greenhouse gas that, when accumulated, traps heat in the atmosphere and aids in heating the Earth’s surface. Loyola’s approximate utility budget is $10 million — which covers electricity, water and natural gas. Total electricity-produced carbon emissions reached around 40,400 metric tons of carbon dioxide for the 2015-16 year, according to the term’s Greenhouse Gas Narrative, an analysis of Loyola’s carbon emissions from the fall and spring semesters. While Loyola is expected to be 15 to 17 percent more energy efficient by 2020, sourcing electricity from clean off-site energy sources would cut total university emissions nearly in half, and more quickly — such off-site sources of clean energy may include wind and solar farm, Aaron Durnbaugh, director of sustainability for the Institute of Environmental Sustainability (IES), said. The school could purchase by term from clean energy sources or enter into a Power Purchase Agreement, which would supply clean energy for electricity for a set number of years. 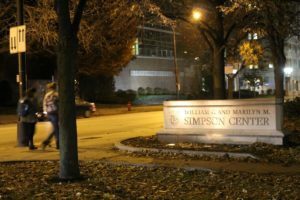 Institutions including George Washington University, the Navy and the University of California have entered into such contracts, according to Durnbaugh, but progress for Loyola has been slower. “[The IES] is aware of the pathway of [purchase agreements], but this particular route is not entirely high on the university’s list right now,” Durnbaugh said. Bringing in electricity from clean sources could amount to an estimated 2 percent increase in utility costs initially, but the effect would be minimal, if even detectable, on student tuition rates, according to Durnbaugh. In observing electricity use over the years, the figure falls within normal fluctuation range, he said. Clean energy could be cheaper, too, depending on the market, but there is a long-term savings benefit since Power Purchase Agreements would provide clean energy to the university in years to come and leave them with a carbon-neutral legacy, Durnbaugh said. Emissions are calculated by fiscal or academic years, running from the beginning of the fall semester to the end of June. The 2008 baseline of 85,000 metric tons of carbon dioxide only accounts for emissions from the school’s Lake Shore Campus and Water Tower Campus. With the 2015-16 year yielding around 66,000 metric tons of carbon dioxide, the Lake Shore and Water Tower campuses are producing around 22 percent less carbon dioxide since 2008, Durnbaugh said. The IES breaks sources of the school’s carbon emissions into three sections or scopes. The first scope includes direct emissions from university infrastructure, including university-owned vehicles, refrigeration and on-campus agriculture. Direct source emissions account for 19 percent of emissions. The second scope includes off-campus emissions linked to the university — such as pulling electricity from off-site sources — and the third scope includes all emissions related to, but not controlled by Loyola, such as air travel and commuting. “Loyola will be carbon neutral for directly controlled emissions — Scope 1 and 2 — by 2025,” the Climate Action Plan’s goal reads. Scope 3 emissions will be balanced by offsets — a market tool that reduces emissions in one area to counteract emissions made elsewhere, according to The Phoenix. The fastest way to achieve this goal is mitigation, direct actions and changes to infrastructure and policy that will curb carbon emissions, according to Durnbaugh. Mitigation is made up of three goals: direct mitigation — actions that curb emissions on the campus level — on-site renewable energy and off-site renewable energy and offsets. Direct mitigation is expected to reduce total energy use by 10 percent, according to the Climate Action Plan for 2025 — it encompasses behavior-focused programs, policies and new sustainable infrastructure on campus. Initiatives for direct mitigation include this summer’s consolidation of Cudahy Library’s heating and cooling system to a single water-based unit, more energy-efficient than the initial electricity-powered ones, The Phoenix reported. Jennifer O’Brien, associate director of housing operations, said Residence Life partnered with Loyola’s Department of Facilities to install more sustainable infrastructure in dorms — construction on Fairfield Hall finished in August, which added updated plumbing and bathroom fixtures. The 2025 Climate Action Plan also mentions sequestering as a more passive way to offset emissions. Sequestering involves planting of trees to counter emission outputs — with the Loyola Retreat & Ecology Campus’ 2,399 inventoried trees, 20 to 32 metric tons of carbon dioxide is canceled out from Loyola’s total greenhouse gas emissions. GoSolar, a project started by the Student Environmental Alliance (SEA), focuses on solar panels for on-site renewable energy. A solar developer owns and installs panels of a fixed cost over buildings such as the IES over a 25-year period for no cost, merely a commitment to purchase power for the term, Durnbaugh said. With panels already installed over the IES, the project will likely install panels over the Halas Recreation Center or Damen Student Center in the next semester or so, according to 21-year-old SEA student president Nick Bergstrom. Bergstrom, an environmental science major, said the panels let Loyola sell energy back into the Illinois grid and allow the school to purchase cheaper offsets. But becoming totally carbon neutral by 2025 won’t be carried out just from on-site renewable energy. Durnbaugh said it’ll take consideration of purchasing clean energy or entering into a contract for sourcing off-site green energy from wind or solar farms.